Israeli soldiers shot, on Wednesday evening, a young Palestinian man east of the Sheja’eyya neighborhood, east of Gaza city. Palestinian medical sources said the soldiers shot the young man with a live round in his thigh, before he was rushed to the Shifa medical center, west of Gaza. 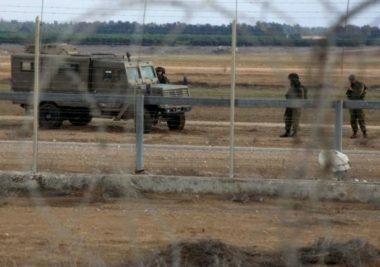 The incident took place after the soldiers targeted a group of Palestinians on their land, near the border fence of the besieged coastal region.